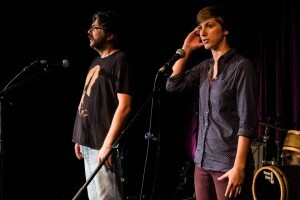 London Poetry Slam will be hosting its first Community Forum! Meeting will be held Friday August 21st 4-6pm in Victoria Park (meet at the bandshell). We want to hear your feedback, ideas, and questions about our monthly slams, other spoken word community events, and your own poetic journey/what you need to grow as a writer & performer. EVERYONE is welcome, whether you’ve just discovered us or have been hitting the stage for ages. 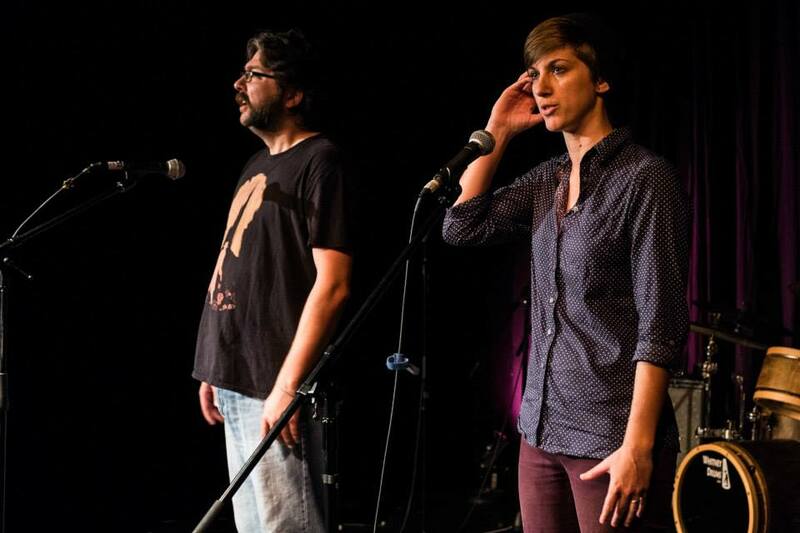 Come get involved & provide your input to help make London’s spoken word scene the best it can be! If you cannot make it to the meeting, but still wish to submit a question or topic for discussion and receive a response, please email londonpoetryslam@gmail.com with the subject Community Forum. 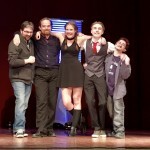 Reflecting on Indies – Jayme A. 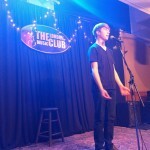 The following is a reflection by Jayme A., who travelled to Vancouver representing London at the 2015 Canadian Individual Poetry Slam (Indies) competition in April. Fellow plane passengers, airport staff, taxi drivers and hotel managers across the city did not expect my answer to be poetry. Apparently flying across the country for a festival dedicated to poetry and storytelling is not common among everyday blue collars; though even less common was the likelihood of finding Vancouverites that knew about the festival and were not sporting manbuns. This wasn’t for a lack of interest in the arts, however. It was more like a desensitization. Alongside all the artists who have stormed the city in flocks of dyed hair and ukuleles, I felt at home immediately- and my mind was already blown by the time I first sat down in orientation. I was only an unconsensual hug away from some of my biggest idols. Unfortunately, this sparked a deep anxiety in me, as I wanted so badly to gain their respect. I set my mind to doing so by placing well in the competition. I still had not completely come to understand that poetry is never about the points. Then to my horror, I dropped both poems at my first bout in the competition. From that point I knew I would have to change my outlook in order to keep my sanity and enjoy the rest of the festival. I embraced the atmosphere instead, and the praise of fellow poets who had all been in my exact same place before. I became able to take my head out of the competition and plant myself firmly into the community. As soon as I made the first step, I felt like I had found home in the voices of people from all across the country. It was comforting to know that we were all here for the same reason. Meeting one another felt like a reunion of old friends and saying goodbye seemed like a see-you-soon. 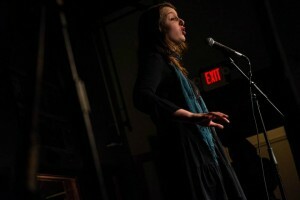 I came to Vancouver for a competition, but in the end I was there for the poets and what they had to say. Typically as my stubborn self, I have silently boiled around those who come to competitions with the “I’m just here to have fun” mentality. However, I understand now. Once I realized I did not need to prove myself in order to feel like I belonged, I knew that this is how it felt to be good enough. No amount of points was going to affect how I was seen here. For the first time, I felt confidence in calling myself a poet. While listening to the beautifully crafted words of the others, I knew this title was something to be proud of. I knew being an artist meant a dedication to impacting others. I have seen art change lives and I couldn’t imagine anything I would rather be than an artist. Poetry brought me, and I’m ready to follow it anywhere. “With all of the outstanding submissions we received we couldn’t just pick one of you wonderful spoken word artists.. So congratulations to winners Megan Morris & Jayme Archibald! 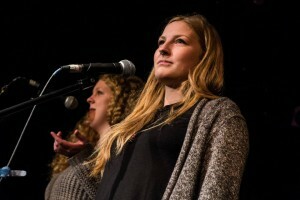 The two of you have both won a professional recording of your poem at Prevail Music as well as a live video-shoot with ‪NYONVideo‬ Productions of you performing your ‪poem‬ at a ‪‎London‬ ‎Poetry‬ ‪Slam‬ event. We thank Prevail for also offering all of the entrants the chance to do an audio recording of their poem! Congrats to the 2015 Team! 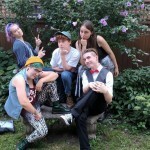 Our 2015 London Poetry Slam team travelling to the Canadian Festival of Spoken Word in Saskatoon in October AND YouthCanSlam Festival in Ottawa in August is: Grand Slam Champ Emma Blue, Samra, Jayme, Emma F., and Eric! London Poetry Slam has teamed up with Prevail Music to bring you a spoken word poetry contest leading up to our April Finals event! Submit an original spoken word poem (no more than 3 mins long) by April 15th, 2015 for your chance to win either a professional audio recording of your poem in Prevail Studios or a video recording of you performing your poem at a slam event with Nyon Video Productions. The winner will be announced at our London Poetry Slam Finals event Friday April 17th at the Palace Theatre. For the first time, London Poetry Slam is proud to partner with the Austen Berlet Campout for Mental Health on Saturday March 28th, 2015 in Victoria Park. We welcome poets to join our set from 5-6pm (please email londonpoetryslam@gmail.com or contact us via social media if you wish to share a poem). “One in five Canadians are affected by mental illness, and that number jumps to 1 in 3 for Canadian students, and it #CouldBeMe. In 2009, it was Austen Berlet; an intelligent, devoted, and loving brother of Phi Gamma Delta with a bright future, who took his own life as a result of his bipolar disorder. We hold this event in his memory, and to generate awareness about mental illness for the Western and London communities, and raise money for the Canadian Mental Health Association. Austen was a bright, beautiful person. He could never sit still, and he almost never stopped talking; he was the definition of lively. The only thing that surpassed his unbelievable skateboarding skills was perhaps his intellect. He used his passion for theoretical physics to attend a summer program at Perimeter Institute during the summer after grade 12, and even publish a paper entitled “The Formulation of Einstein Field Equation Through Curved Newtonian Space-Time” through the University of Texas while he was still in high school. We are all a little like Austen, and Austen was a lot like the rest of us. ABCampout happens on March 28th, starting at 12pm, at Victoria Park, London. It’s a 24-hour event; we will be there all night, so bring your tents and help us keep warm, but you may also come and go as you please. Enjoy a day (and night) of fantastic local speakers/performers, great food, and amazing conversation with Western students and London residents alike. There’s also a Mental Health Walk around Victoria park during the event, a silent auction with some incredible items by our wonderful sponsors, and open fields for sporting events. 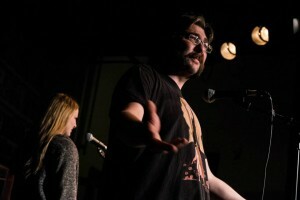 On Friday February 20th, London Poetry Slam held it’s first ever Indies Qualifier Slam. 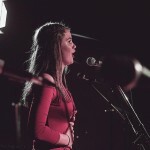 The Canadian Individual Poetry Slam (CIPS / Indies) is an annual national competition in Vancouver in April for 40 of the top slammers from across the country. Each year London names a rep who heads to BC and competes… but this is the first time we have held a slam-off to decide who that person would be! Our inaugural Indies slam saw 10 top poets from our 2014-2015 slam season perform, including Ceilidhe, Jenny Jay, Sara, BoGus, Adam S, Emma F, Eric, Jayme A, UB & Tiffany T.. Poets performed in a 1 min round, a 2 min round, and a 3 min round, mirroring the format of Indies prelims (where poets perform in 1, 2, 3, & 4 min rounds). Jayme came out on top after all three rounds were said and done, and we’re happy to see her competing for the first time at a national festival. Best of luck Jayme, we’ll be showing the love from London! To learn more about CIPS, or read up on how you can register as a storm poet if you want to join Jayme in BC and compete in the festival this year, click here. Given all that has been in the media and slam scene conversation circles lately, we want to reiterate that we work to make the London Poetry Slam a safe space for all. We will not tolerate any speech/action that is hateful, aggressive, or predatory, and if anyone ever feels their comfort or safety is being compromised at our events, whether by poets, audience members, or organizers, please contact Director Holly Painter to discuss further (through our contact form, or other means). We are working on additional measures to better communicate our commitment to safe space. If you have any thoughts on how we can better do this, please feel free to share your ideas with us.